NewBee Running Club, New York City. Don’t waste your time wishing for things you don’t have. Do your best with what you do have. It just happened by the light of nature. It has to be Boston Marathon 2018. 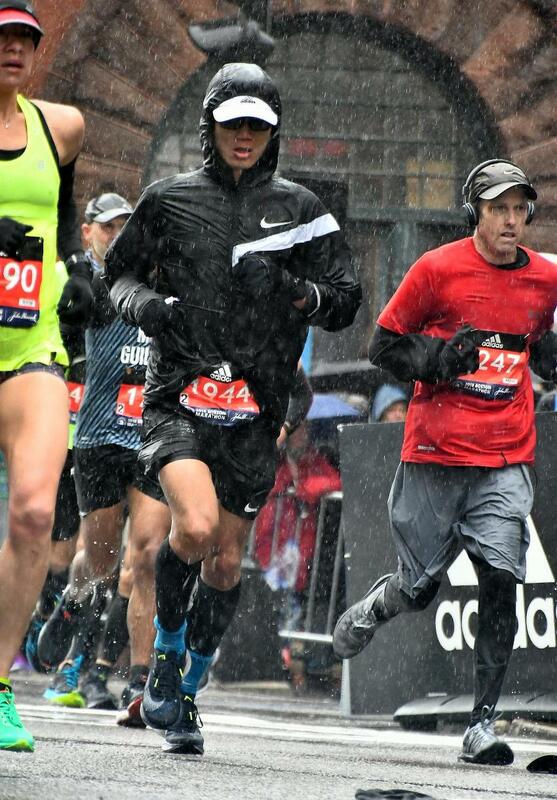 Now everyone knows the weather was miserable on race day, but only runners who got on the starting line at Hopkinton, ran down Framingham, Natick, through the famous Wellesley Screaming Tunnel, conquered the Newton Hills and then crossed the famous Boylston Street Finish Line, only did they know how hard it was on April 14, 2018. I’ve trained very hard for Boston, I was within my goal time until Newton Hills, I knew I had trained hard for the hills during a long training cycle, I knew it was time to attack, but I did not have the power to do it because I was suffering from hypothermia. 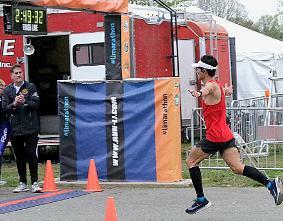 I still cannot remember how I finished the race but one thing I do know is I never think of giving up. I have been trying to help my friends to run or run faster, maybe I can help more to achieve their marathon goals. I haven’t officially paced any marathons so far, but I did paced my friends in several marathons already and helped them achieved the goal. I do think I have the gift to pace because I can easily ease into a pace and run steadily for a long time as long as it is within my easy pace range(currently it is 6:30~8:00). I also paced group training runs for my teammates. Whenever it’s a tempo run or an easy run. I’ve been training to pace myself evenly ever since I started running. One thing I believe is: the best marathon pacing strategy does not exist, but running a even conservative pace may be the key to your best. Run happy, if you’re interested, I’ll talk about many interesting things of my hometown, China. I have 2 dogs, 1 schnauzer and 1 toy poodle. Back in China, I’ve been volunteered in several fundraising events for Cancer.